This suite of three dances was commissioned by the British Association of Symphonic Bands and Wind Ensembles with funds provided by West Midlands Arts. The first performance took place on 26th September 1986 at Warwick University during the fifth annual BASBWE Conference. As with Gallimaufry, some of the thematic material is adapted from music originally written for productions with the Royal Shakespeare Company. The precise location of Illyria was not important to Shakespeare; what excited him was the resonance of the word itself and the romance of all far away, make believe places. Illyria is Never Never Land and the idea of inventing dances for such a place intrigued me. The opening Rondeau has a seven bar refrain with a rhythmic twist to it, which alternates with variants highlighting most sections of the orchestra. The Aubade is a gentle dance in ternary form featuring the flutes, with a hint of the dawn chorus at the close. The final Gigue is a rondo in six-eight time, with the recurring theme also appearing in counterpoint to the many subsidiary themes. 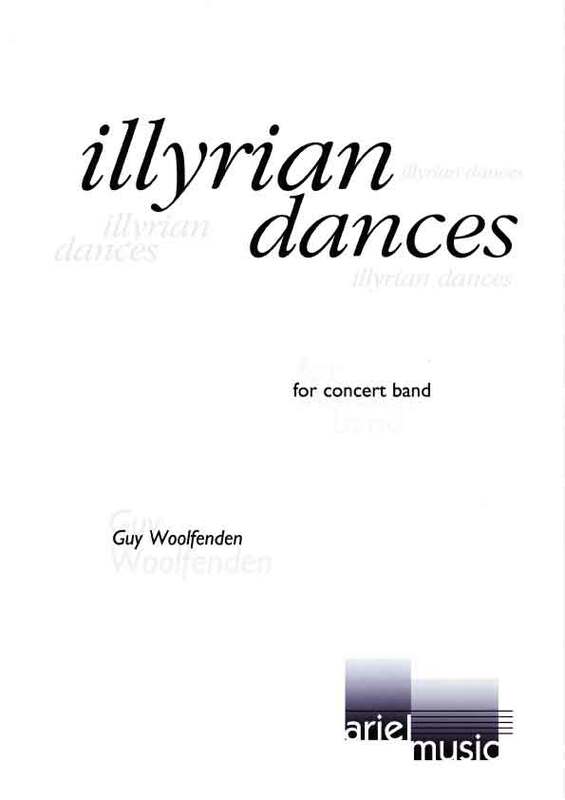 Illyrian Dances is dedicated to my old and good friend Timothy Reynish. …once again demonstrating the composer’s ear for sonorities and feel for attractive tunes and catchy rhythmic devices. This like Gallimaufry, is light music of the highest order, English without being plagiaristic, challenging for players and good to listen to. writing all the timbres of wind instruments, sometimes in unexpected parts of their compass. It is enjoyable music to play and to listen to.